NEW Bronte Abraham Moon Throw / Blanket. 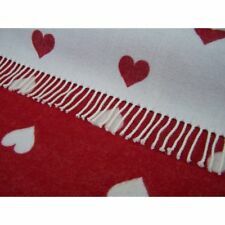 Heart / Red 100% Lambswool. RRP £150!! 94 ins x 62 ins. Gorgeous thick soft deep red throw by Coloroll. This woven chair throw blanket features a honeycomb waffle design across the whole throw. 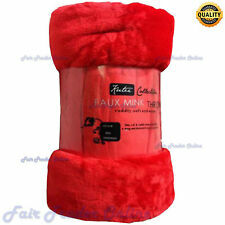 The Fleece Throw will add a touch of softness and tranquility to your bedroom. Ideal as a throw over furniture such as couches, beds and sofa beds. 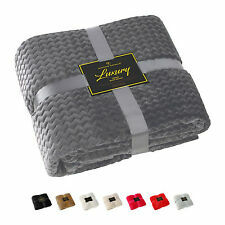 Luxurious Fleece Throw. Material: 100% Polyester (Can be Handwashed). Brand new in packaging smoke and pet free home Please have a look at my other listings for similar items and ask about a discount for multiple purchases. FRIENDS Central Perk TV Show Throw Primark Home Blanket red Brand new FREEPOST. Condition is New. Dispatched with Royal Mail 2nd Class.